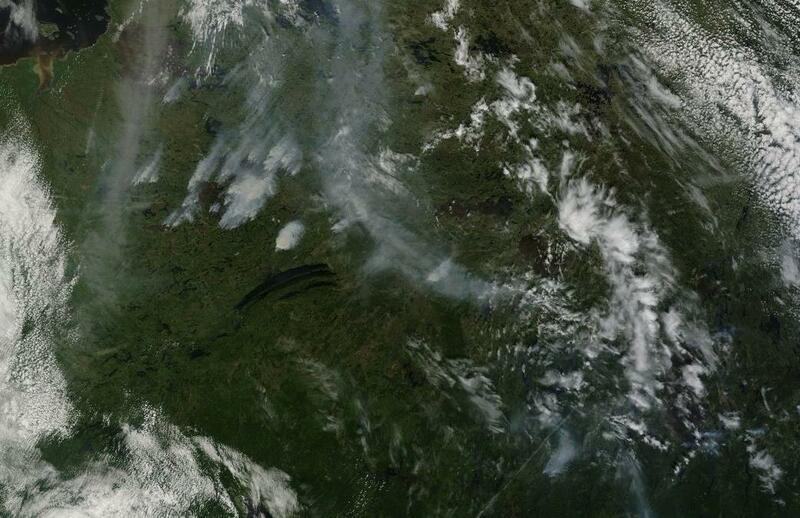 On May 25th, a large thunderstorm ignited wildfires across Quebec. They have been burning ever since. 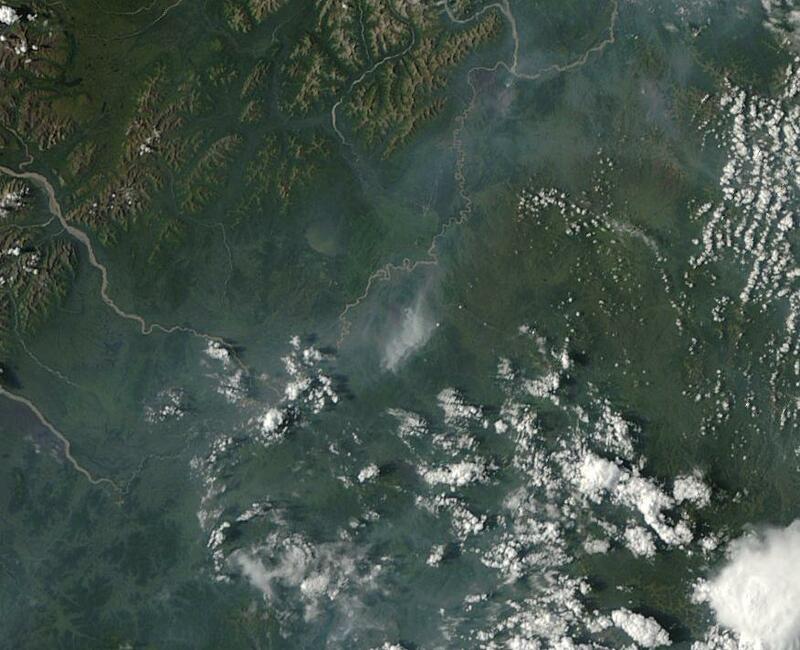 In total, more than 1 million acres (or about 1000 square miles) of forest had burned as of July 9th. The fires had become so severe that by July 5th, they’d shut off power to more than 500,000 residents (10% of the Quebec population), prompted Quebec to declare a state of emergency, and threatened many towns throughout the region. A vast pall of smoke hung over much of the area, stretching as far as Ontario, some 400 miles away, where severe smog resulted in air hazard, health warnings, and pleas from officials for residents to limit driving. Temporary relief came when rains swept through the area on July 7th and 8th. But the fires quickly recovered causing Quebec to send out pleas for additional fire crews from the Northeastern US and broader Canada. So far, Maine, Massachusetts and British Columbia have responded by sending a total of 121 firefighters to battle the massive blazes. 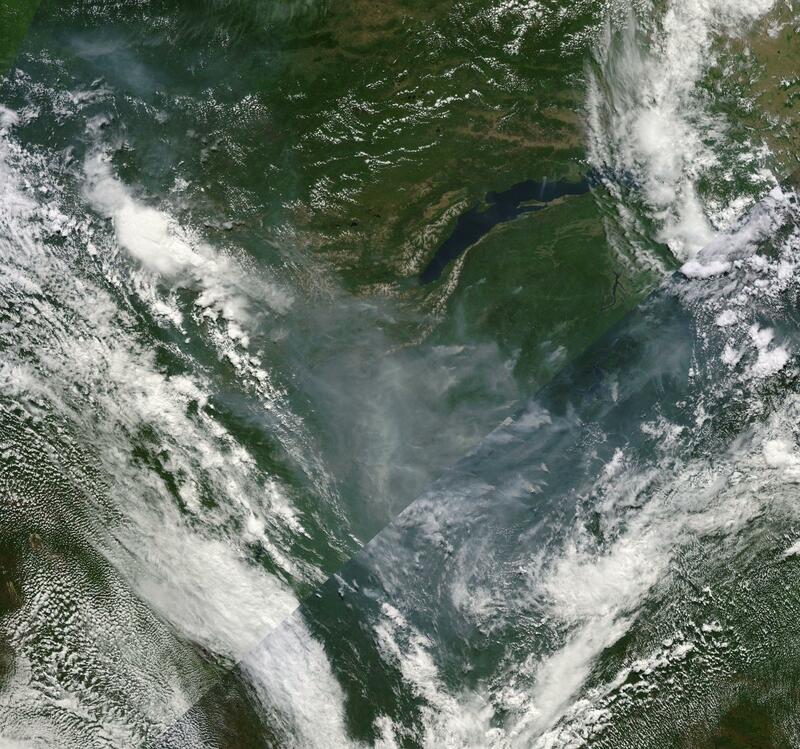 In the above Aqua satellite image provided by NASA, you can see a number of these large fires burning in the vicinity of southern Hudson bay in the northwest region of Quebec. 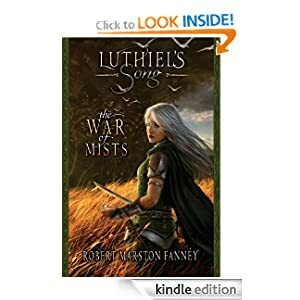 The fires still raged after a number of rainstorms swept through the area on July 7th and 8th. Adding insult to injury, a train carrying 72 cars laden with crude oil derailed and exploded in the Quebec town of Lac Megantic, likely killing 50 people and forcing over 2,000 to evacuate. The wildfires and oil train explosion formed a hot concoction of global warming and Canadian dependence on petroleum this week that made for a very volatile, damaging and deadly mixture. 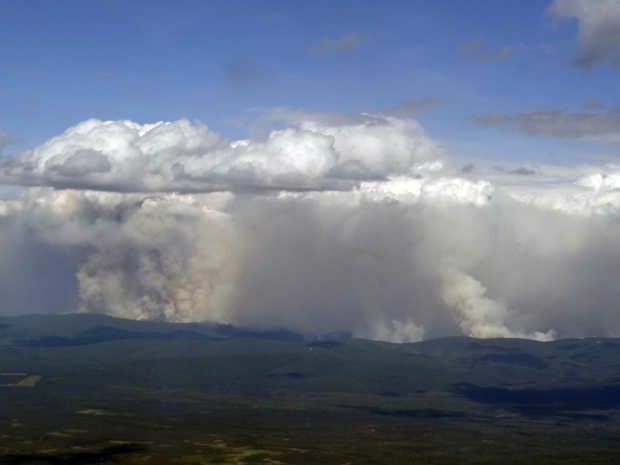 Northern Quebec is yet one more Arctic region to experience large wildfires this summer. 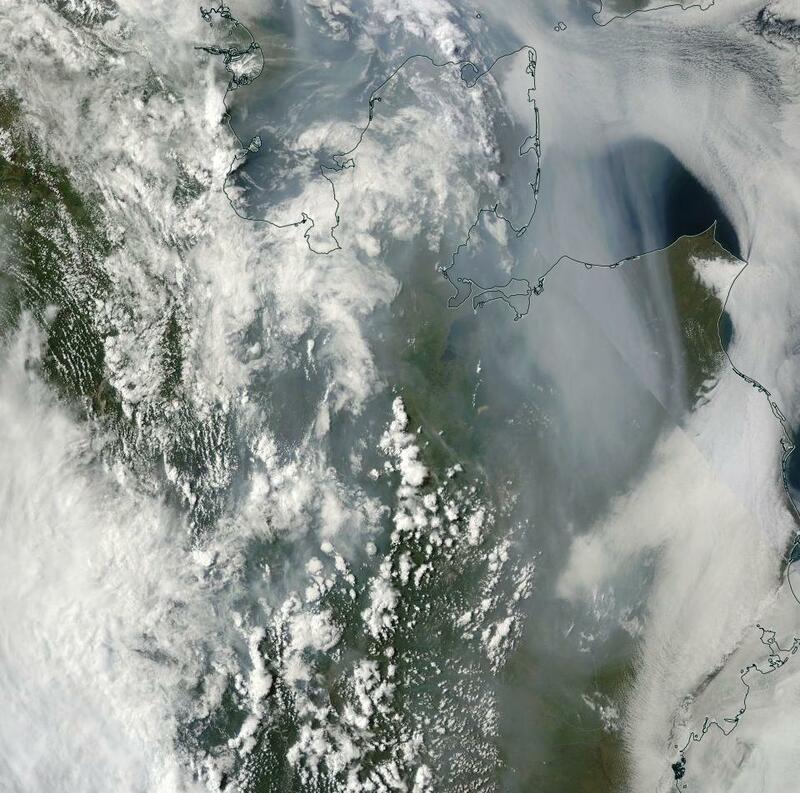 Northern Canada, Alaska and Siberia have all also seen large and powerful fires burning near or above the Arctic circle. Most fires have been ignited by dry or heat-wave conditions. In the case of Canada, Alaska and Siberia, temperatures surged from the high 80s to the mid 90s. One central Alaska location recorded an all-time record of 98 degrees Fahrenheit. Resulting thunderstorms in these areas sparked massive tundra, peat, and arboreal forest fires. These Arctic wildfires and heat waves are particularly disturbing when you factor in a new Los Alamos study showing that soot from forest fires is a more powerful amplifying feedback to human warming than previously estimated. 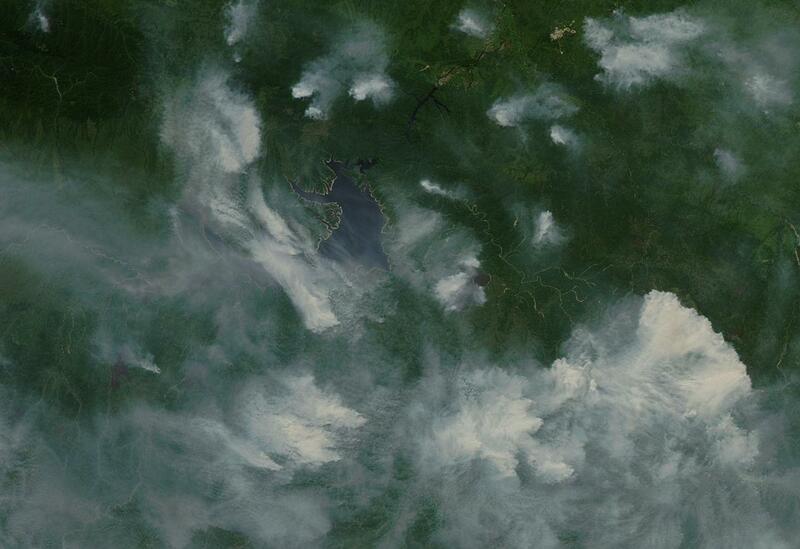 Soot generated from this burning is more local to remaining sea and land ice. Wind and weather can deposit this soot onto icy regions reducing their albedo and hampering their resilience to the 24 hour summer sun. These fires also occur in a region that is, increasingly, emitting more and more methane and carbon dioxide into the atmosphere — additional amplifying feedbacks that contribute both to Arctic warming and to larger global warming. High volumes of methane in tundra, peat, and permafrost melt lakes may also provide trigger zones that ignite these kinds of Arctic fires. In these areas, methane concentrations are sometimes high enough to burn if ignited by a spark, lightning, or a wildfire raging in the area. 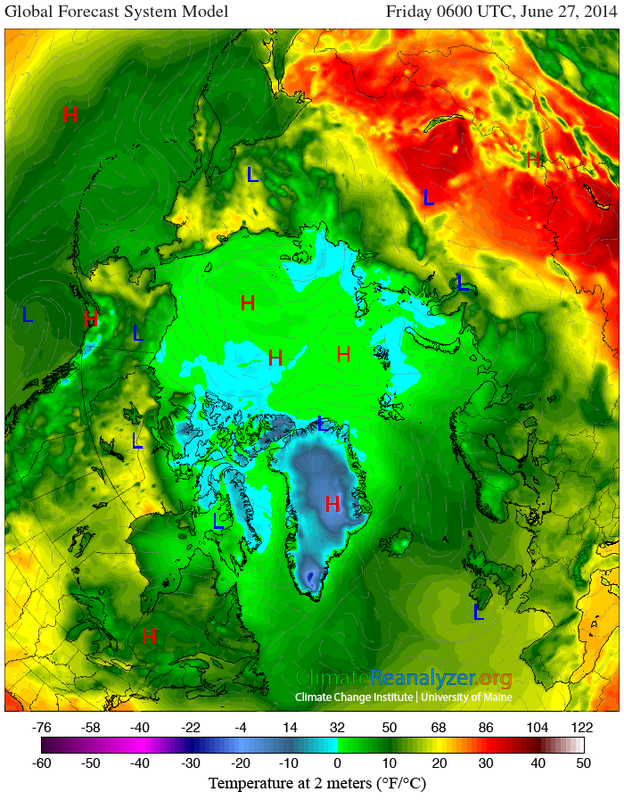 Though it seems counter-intuitive, these combined conditions may make the Arctic one of the most vulnerable regions to burning from massive fires as the effects of human global warming progress. The northwestern area of Quebec primarily features arboreal forest. But sporadic regions of permafrost dot the area and melt/decay of this permafrost has been particularly rapid as warmth has advanced northward over the past few decades. This year, the driest spring and early summer in 40 years led to conditions that would encourage the record burning from May to July. 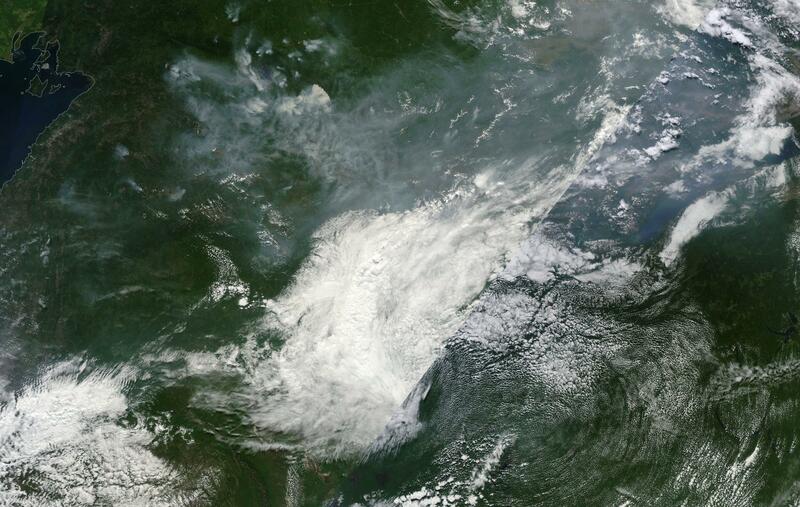 As of July 9th, three very large fires were still raging in the vicinity of James Bay, some of them devouring woodlands at a speed of near 20 miles per hour. A strong low pressure system is forming over Quebec today and is predicted to deepen before moving northeast by Saturday. This storm may bring more rains to the fire stricken area. As of today, there were some reports of light rain, high humidity and fog. All conditions that are likely to aid firefighting and containment efforts. It is worth noting that, thus far, rainfall has not been enough to alleviate record dry conditions in the area. It is also worth pointing out that fires rapidly re-surged to dangerous levels after previous rains fell in early July. So firefighters and communities in Quebec may be in it for the long haul.